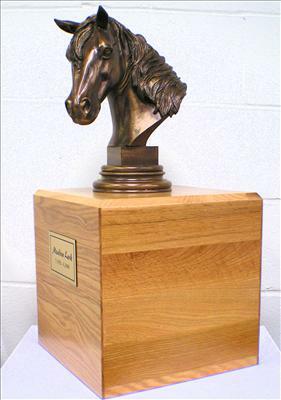 Oak horse urn with horse head bust included. Available in two sizes. You may also choose to add a personalized name plate at an additional charge. An outstanding way to pay tribute to a beloved horse. Would you like to order the engraved plate? In Block or Script type style?